PRODUCING COMFORTABLE SHOES, BASED ON FINE LASTS, TOP QUALITY MATERIALS AND CRAFTSMANSHIP. 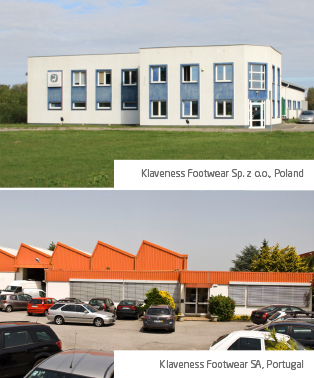 This is our heritage and purpose at Klaveness Footwear. 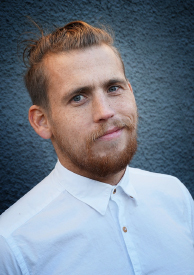 Klaveness, the Scandinavian footwear brand, targeting specific needs with unique solutions. Providing quality footwear - through innovation and craftsmanship, creating ultimate value for users, customers, and employees. 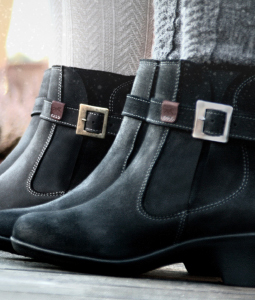 According to our philosophy, footwear should adapt to the foot and not the opposite. Therefore, our product development is thoroughly assisted by designers and orthopaedic specialists, whose collaboration creates products that fulfil both aesthetic and functional criteria. We involve the medical staff in our research to improve the products and to gather feedback from patients. In addition, we aim to be a total supplier. Our goal is to create a wide diversity of products that will serve any of our customers needs. KLAVENESS BOARD MEMBERS AND MANAGING DIRECTOR Klaveness board is constituted by Bjørn Klaveness (Chairman), Kristian Klaveness, Mina Klaveness and Bjarte Røyrvik. COMFORT :: Comfort is a meaningful collection for Klaveness, designed for your daily life. Aiming for perfect fit, comfort and taste, it combines high-quality materials with top handcraft, providing your feet with excellent footwear. SLIPPERS :: Slippers are considered worldwide to be the most comfortable footwear. 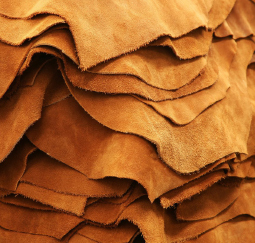 In Klaveness, we take this seriously, using high quality, natural materials, such as wool felt, fur and leather, as well as a unique construction that will make you feel like you are walking on air. BUNAD :: Klaveness is proud to dedicate a line to the best of Norwegian tradition. For many years we have designed and manufactured bunad shoes for our quality-conscious customers. Bunadsko from Klaveness is the obvious accessory for any bunad and party dress. Combine the beauty of the national costume with the comfort of your feet and celebrate tradition and folklore! MEDICAL :: Made specifically for those who can’t find that special shoe in standard mass produced stores or who like the added comfort and flexibility, Medical and Rehabilitation shoes are based on special lasts and made from the finest materials, so your feet can have absolute comfort. REHABILITATION :: Specifically for prevention, rehabilitation and treatment, this range includes many styles and different features, so you can find the pair of shoes that matches your needs. Our goal is to give the most comfort, no matter what the medical condition is. CUSTOM-MADE FOOTWEAR :: With the customer at the very centre of the process, this hand-made personalized footwear category offers the best variety for ones with therapeutic or extensive orthopaedic demands, or for those with specific aesthetical desires. Based on any Klaveness style or customers own designs, we build each shoe(s) according to taste, shape, size or any other particular needs of the wearer's foot, without neglecting style. 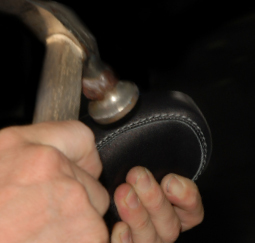 We are the most skilled to blend in these modifications so that they are discreet. If necessary, footbeds can also be customized according to individual needs, to help manage conditions that can cause pain or discomfort during walking, running and everyday activities. IF YOUR FEET HAD A CHOICE! We execute all stages of footwear design and production, from last development to complete finishing of shoes. Every Klaveness product offers style, endurance, functionality and comfort, from heel to toe. 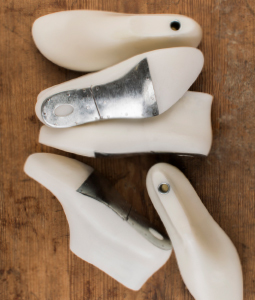 We pay close attention to every design detail, from the selection of lasts to anatomical footbeds, to ensure a perfect fit. High-quality materials are carefully chosen to be elegant, durable and delicate against your skin. 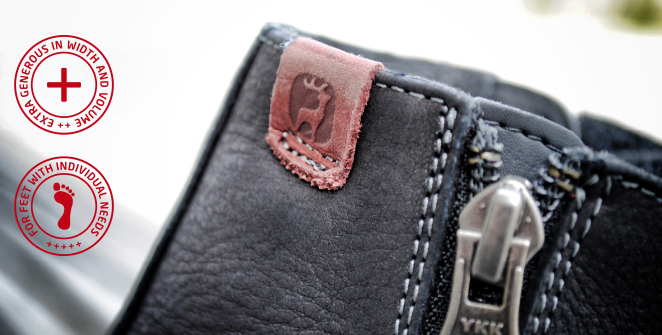 Carefully handcrafted details often enhance the quality of our products. 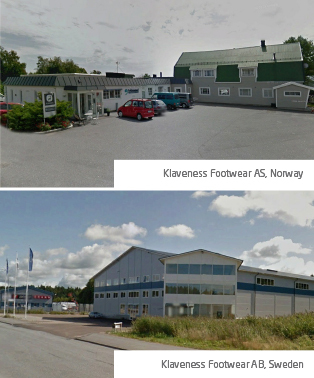 Our head office is in Sandefjord (Norway) and the distribution centre is in Strömstad (Sweden). We have a sales office in Jyväskylä (Finland) and two fully owned production facilities in Elblag (Poland) and in Porto (Portugal). 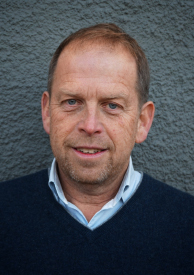 Our biggest success has been Scandinavia, with Norway and Sweden being the main markets. However, more recently, Finland has also grown to become a high interest market. We continuously seek to conquer new strategic business fields, markets and target groups.